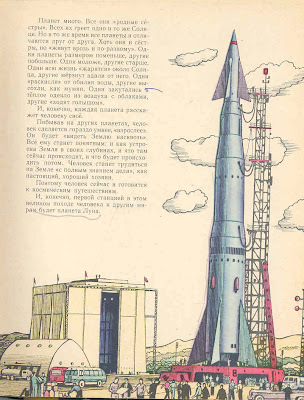 A Russian children's book today. 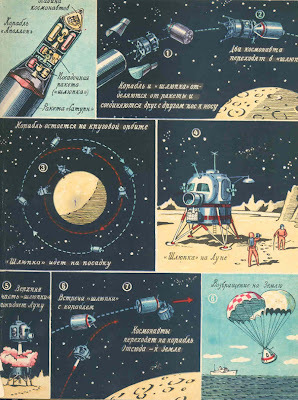 While the US was involved in the space race and telling its children about how the US was going to be first, the Russians were also publishing pro-space books for their children. 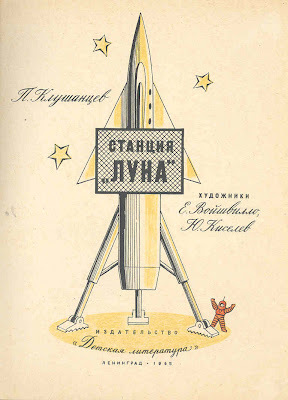 Since I don't read Russian (I had to have a friend translate the title) I can't give you much detail about the book . 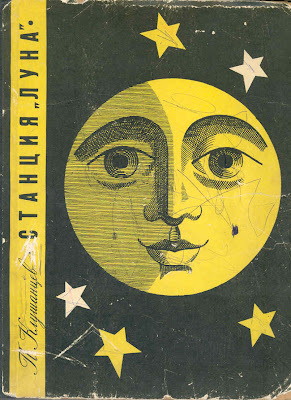 Title: Stantsiia "Luna" / P. Klushantsev ; khudozhniki E. Voĭshvillo, IU. Kiselev. 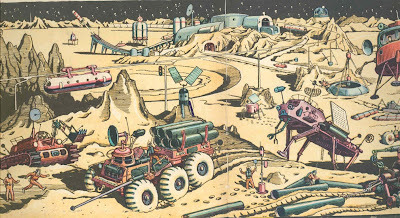 Published: Moskva : "Detskaia lit-ra", 1965. Physical Details: 63 p. : ill.
this is great. 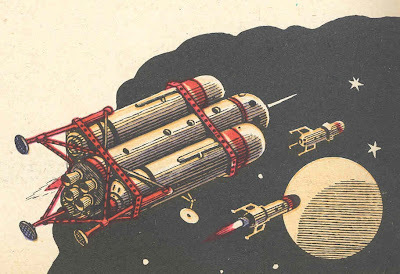 russian design never ceases to wow me.